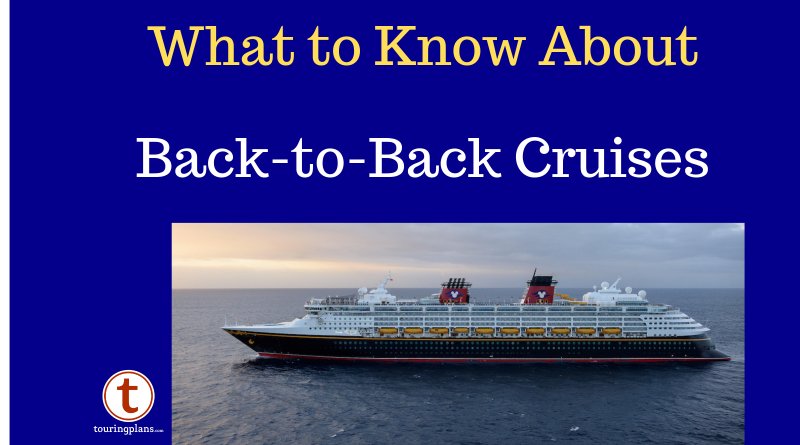 I know some of you are like – what the heck is a back-to-back cruise? Well when you hear what it is, you just may want to book one (or is it two?) immediately! A back-to-back cruise is basically taking two cruises on the same ship in a row, with no break in between. Not bad huh? They’re pretty popular. There are at least a few back-to-backers on every Disney cruise. Sometimes this kind of cruise can even save you money. Often a 3-night plus a 4-night on the Dream is cheaper than a 7-night on the Fantasy! Details on how the actual disembarkation/reboarding day goes will vary based on which port you are in, which ship you are on, and how many back-to-backers there are, but this will give you some idea of the process. 1. Staying in the Same Stateroom is Best for Packing – If you can, I highly recommend booking the same stateroom for both cruises. That way you don’t even have to pack and unpack! You basically are just leaving your stateroom for a few hours. 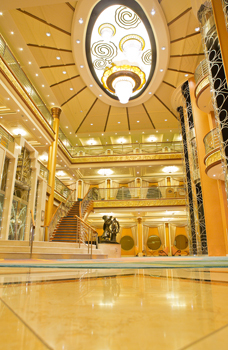 If you do have to change staterooms, no worries. You do have to pack your things to be transferred, but it’s easy! There’s no weight limit on luggage and no limit to how many different bags you’re sending. You can even leave your clothes hanging in the closet! Easy! You just leave your bags together, and a stateroom host will pick them up and move them for you. When you get to your new stateroom, they’re all there, just like magic. Pro tip: Before your first cruise ends, touch base with your stateroom host and let them know what your plan is and where your clothes are that need to be transferred. They will take care of the rest. 2. Dining Changes Are Easier – On the last night of your first cruise, your head server will probably ask if you want to stay with the same dining team. You can also put in any requests you like, such as a table alone, see if you can be moved to early dining, change dining rotations, or change dining teams. The head server will work to make any of those things happen. He/She will also probably ask if you want any Palo reservations and they can talk to Palo to make that happen. On a recent back-to-back that I did, I just talked to the Palo manager while leaving Palo one day, and he wrote down my requests for the next cruise. He made all the reservations for me on the morning the next cruise started and I didn’t have to do a thing. No rushing around after boarding! It was wonderful! 3. You Will Get Instructions – On the last night of your cruise, you will get printed instructions left in your stateroom for what to do the next morning. On the Magic recently in New York City, anyone wanting to get right back on the ship was supposed to meet in O’Gills by 9:30 a.m. Or, if we wanted to, we could get off in the morning and go explore the Big Apple for a little while! 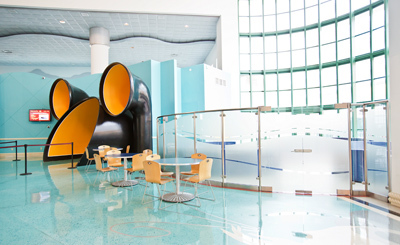 In Port Canaveral, you can usually get off whenever you like in the morning and go right back upstairs to the terminal to wait until you are able to reboard. 4. Leave Room by 8:00 a.m. – If you are changing staterooms, you generally need to be out by 8:00 a.m. so your stateroom host can get the room ready for the next guests. Be ready to leave for a few hours by then. Go to breakfast! If you have friends or family onboard not doing a back-to-back, they will have to be off usually by 9:00 a.m.
5. Carry Your Passport – Don’t leave without your Key to the World and your Passport (or whatever proof of citizenship you are traveling with). You will need it to get off and check back in, because you will clear border control and customs before reboarding. 6. You Will Be the First Back On the Ship – After exiting the ship and clearing customs, you will go to the check-in desks and check back in. After that, it’s just a matter of time until you can get back on. During one of my back-to-backs, the computers were down and the check in process took about 30 minutes. Other guests had arrived at the terminal by then, but they were held near the front until the computers were working. We were still back on long before embarkation started for everyone else. 7. 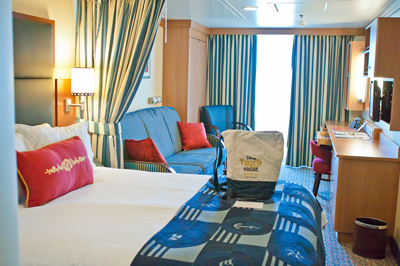 First Shot at Upgrades – Steeply discounted stateroom upgrades are often available when you arrive at the port early. Well guess what? You are arriving first! So you have the first shot at upgrades! If you’re interested in one, go to the supervisor’s desk right after you check in. They’ll give you prices and availability and you decide if you want it! You could score a great upgrade! 8. Limited Food – Danger, Will Robinson, danger! There may not be any food options when you get back on, so be prepared! At this point, your body is accustomed to eating every one to two hours, and you may go into shock. Keep some snacks with you if you need. You may find some food set up in Cove Café, but you may not. Have survival rations at the ready. 9. There are Lots of Places to Wait – As a general rule, Cove Café is open for you when you get back on. It’s a nice place to sit and relax. You can also have your choice of several hundred open deck chairs if the weather is nice. One time I sat in a big chair in the mostly open lobby and watched the crew get ready for the next set of guests. You can often get into your stateroom early too. If you stayed in the same stateroom, it will be ready for you. Even if you changed rooms, they try to get yours done early. 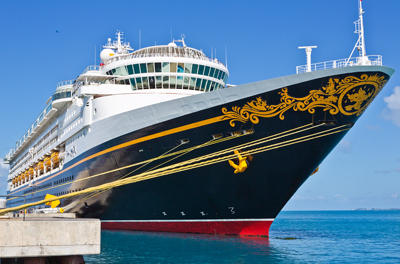 Disney would prefer you don’t go under the rope to get through to the staterooms while newly arrived cruisers are onboard and watching, so try to go before anyone else boards if you want to hang out in there. 10. Take Your Camera – If you want empty ship pictures, this is your chance! The same goes for empty terminal pictures. Even if there are a hundred back-to-backers, they’re not all going to be in the same place onboard. So keep your camera and roam around taking pictures. It’s a photography enthusiast’s dream! Are you thinking about a back-to-back cruise? Do you have any questions? Ask them here! Tammy Whiting is the owner of Storybook Destinations. Did you know Storybook Destinations offers a complimentary subscription to TouringPlans with qualified Disney and Universal bookings? Click here for a no-obiligation quote on your next vacation! Cute list. But you missed something really critical. Chances are, you will spend upwards of *2* hours in the Port Terminal between cruises. If you have young children, please make sure that you are prepared to entertain them for this time. iPads, books, coloring sheets… whatever it takes. And yes, that includes bringing a snack. Thanks, Jeff! My recent experiences were much, much less than that. 45 minutes to an hour on one because the computers went down, but closer to 30 minutes the other 2 times. OMG! It must be tough having to be a responsible parent for 2 whole hours between luxury cruises. Please start a GoFundMe page so I can send my money to you instead of UNICEF or foster children. My email address is by my name… you can paypal the money there. DW and I have wondered if there was ever a way to Back to Back on TWO different ships?? We figure that there is never an itinerary combination that would allow for two ships in a port on the same day, but we have thought about having a weeks worth of dining combinations without eating in the same restaurant twice?? Taking “Resort-Hopping” to the Cruise Line. To the best of my knowledge, there isn’t today, as they only have one slip at PC. But they’re building a new Terminal at Port Canaveral to handle the new ships… so theoretically, a B2B on two different ships WOULD be possible. And it’ll get more interesting as they finalize the new island details, too. Jeff is correct, there’s no way right now. You could change ships and take a day in between, but no true back to back on the same ship. I think the best option for back to back is two different itineraries to at least change that ports up. If you were on two really different itineraries (like a transatlantic and Europe cruise) you’d get some different menus too. Another reason for a b2b… we pay for airfare only once for 2 cruises ! About $1200.oo saved ! Absolutely! That was a reason for one of my recent ones!